Why am I getting an error reading when I try to register for the event? a) The registration software only supports Internet Explorer or Safari, please ensure you use one of those browsers. I haven’t received my email confirmation ticket? a) If you have not received your email confirmation within 24 hours of purchasing, please email info@desertwarriorchallenge.com. Can I register late or on the day of event? a) All registrations are made online up until the day before the event. If there are still spaces, we will be selling tickets on the event day at the check-in counter. a) A team can be made up of as little or many people as you wish. Can i edit my team details? a) As a team captain you can edit all of your team details on the ‘Team Management’ section on the event entry page. Do i have to register in a team to partake in the event? a) Not at all, we have many individual Warriors who like to tough it out on their own. Individual warriors may wish to join other teams on the morning of the event or form a team of their own with other individuals. We encourage team participation as it is part of the D.W.C. experience, but is not essential. Are team members required to finish at the same time? a) All Warriors are entitled to finish at their own pace, but nothing beats the feeling of accomplishment when it's shared with friends. However, in the 'Extreme' warrior category, your final time will be recorded when your last team mate crosses the line. How much does it cost to enter a D.W.C event? a) Costing depends on the event and location, you can see the details on the event page. All tickets are charged in USD. a)Your obstacle course entrance, your Warrior T-Shirt and your ‘Warrior-Reward’ as you cross the finish line. If I can not participate in the event due to injury/conflict/personal/other, am I entitled to a refund? a) As per the terms and conditions that each participant must agree to, we do not offer any partial or full refunds under any circumstances. We know this isn’t exactly the news you want, so that’s why we offer the ability to transfer your entry to one of our future events within a 12 month period. To avail this you must inform the DWC team and receive confirmation of your transfer prior to the original event date. This offer is only valid for purchased or partially purchased tickets. a) We understand that sometimes in life the unforeseen happens and you therefore may have to miss the event. For this reason we allow you to transfer your registration to either another DWC event or to another person, just log on to your Trumin account and follow the steps. All changes MUST be done prior to 4pm the day before the date of the original event. A minimal fee will be charged for these changes. How do i transfer my entry to a future event? a) You must notify the DWC team that you will not be able to attend the event via email, at least 24 hours prior to the event date. You will then have 12 months to enter any other DWC free of charge under the same category. Can free tickets be transferred to a future event? Free tickets are only valid for the event they are originally intended for. Are there water/food stalls throughout the course? a) Yes, there are ample water stations throughout the course. Base camp will house food and beverage facilities as well. a) There will be male and female toilets within the Base camp. a) Yes, of course you can skip any obstacle you do not feel comfortable completing. D.W.C. is not a race and is aimed at having fun and challenging yourself. The reward is in the completion of the course as a whole, not necessarily the best times or the most obstacles completed. Please note: The Extreme event is competitive and skipping an obstacle will disqualify you/your team from being able to receive a medal/place. You may still complete the course. When can I see the course map and obstacles for the event? a) The obstacles involved in the event and the exact coursed design are kept as a secret until the day of the event. Upon arrival on site you will be able to see a detailed course map. Will there be shower facilities at the event? a) Warriors will be able to hose themselves off, change rooms will be available as well. a) No outside food or drink is permitted, however you are allowed to carry a camel pack on to the track. Will my picture be taken throughout the course/can I use my own camera? a) Our photographers will be scattered throughout the course taking snaps of you battling it out. These photos are for D.W.C. promotional usage and will be available on site. You may bring your own camera, however D.W.C. will not be responsible for any damage, loss or theft. a) There will be an awards ceremony to congratulate the winners from the Extreme Category. During the day there will also be random presentations of fun prizes for things such as Best Dressed Team. What time do I start the event? a) During registration you can request to start within a particular 2 hr time slot called a Wave. We will do our best to match your request but cannot guarantee it. You will receive your exact start time via email 5 days before the event. a) In extreme circumstance we will do our best to accommodate a request, however, please note a time change will be rare as it effects all other Warriors on the day. What if I am late for my start time? a) It is vital that you turn up at the time assigned to you in order to guarantee your position in the event and avoid unwanted delays. If you are late, we will do our best to slot you into the next available time, but you may have to wait a while. My teams wave time is full, what should i do? a) If the Wave time that your other team members have registered for is full we will do our best to slot you in for the earlier time, however in most circumstances your team will be required to slide to the later Wave time if you wish to run together. All you need to do is go ahead and register for the event and select the next available Wave time, then 5 days prior to the event you will receive your teams exact starting time. Do I need to be fit to complete a D.W.C. course? a) Each participant will be tested both physically and mentally. To complete the course there is a certain level of fitness required, however, you can take the course at your own pace. We encourage all Warriors-to-be to participate in regular exercise leading up to an event. Please see our Training Partners via the link in the below question for official training tips and programs in preparation. What should I do to prepare for a D.W.C. event? a) Join one of our affiliate 'prepare to be a warrior' programs to get yourself in the best shape for D.W.C. How I do qualify for my discount? a) All you need to do is complete your scheduled WST shift and you'll be given a promotional code to use for entering the next event. Make sure you check in and out with your WST coordinator on the day of the event. I need to change/cancel my scheduled shift, what should I do? a) Log on to your Volunteer local account and follow the prompts to change/cancel your shift. You can also contact the volunteer coordinator at wst@desertwarriorchallenge.com. When will I know what time my shift is and my allocated position? a) During the sign up process you will be able to choose your shift and WST position. The volunteer coordinator will contact you in the weeks leading up to confirm your shift and to give you all of the necessary details for the event. Can I participate on the same day I volunteer? a) As we need our WST members at their allocated stations throughout the whole shift you won't be able to participate during your shift. a) You must be 18 years or older to volunteer for an event. However if you are 16 or 17 and wish to volunteer you may do so as long as you are accompanied by your guardian for the shift, and your guardian signs the applicable waiver form. Can I volunteer in the same role as my family/friends? a) You may certainly put down your request to be in the same role and we will do our best to put you together, however we can not guarantee that you will be in the same area or roll. a) Wear some comfortable clothes as you will be outside all day. Closed shoes is compulsory and we will provide you with a WST T-shirt. We suggest bring a hat and sun cream to make sure you don't get burnt. Do I have to complete my full shift? a) In order to have the day run smoothly we require that all WST members complete the full shift they are allocated for. Please only sign up for a shift if you are able to attend it in its entirety. a) While we would love to pick up all our WST members in limousines unfortunately it isn't possible. However there will be free transport for WST members on a bus from an allocated pick up/drop off point in Dubai and Abu Dhabi. Those wishing to take the bus must inform the volunteer coordinator at least 2 weeks prior to the event. a) You will have a scheduled meal break that your volunteer coordinator will inform you about at the start of the day. Of course if you need the bathroom feel free to do so, however it is essential at all times there is the required number of WST members at your station. This will be explained to you in the briefing. a) There will not be any bag drop facilities for WST however you will be allowed to take a small bag with you to your station. Please be aware that DWC can not take responsibility for the security of your belongings at any time. I would like to work with D.W.C., how can I apply? a) At D.W.C. we are always looking for enthusiastic people who have the same passion we do for the fun outdoors and adventure obstacle racing. Please feel free to contact us at info@desertwarriorchallenge.com for further information. I would like to be a sponsor/partner of D.W.C., how can I be involved? a) D.W.C. is always happy to hear from people/companies wanting to get involved and would love to hear from you. For more information please go to the link: Sponsorship. I am a gym owner and interested in providing D.W.C. training. a) D.W.C. offer our warriors world class training to prepare for each event and we are always looking for new venues interested in becoming D.W.C. training affiliates. 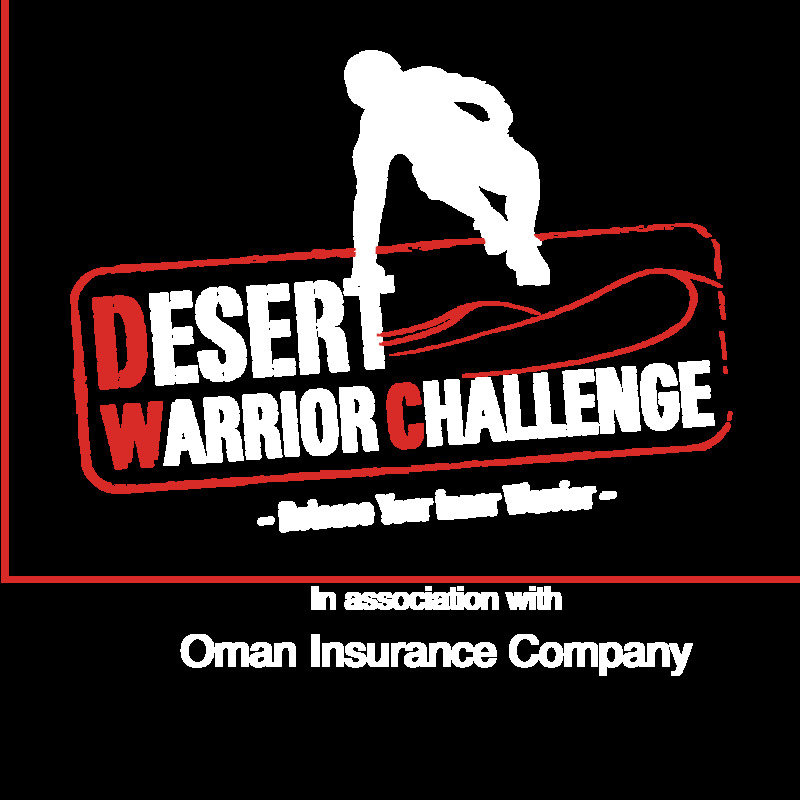 For more information please email info@desertwarriorchallenge.com.